MEASAT's neighborhood is growing due to Encompass Digital Media. 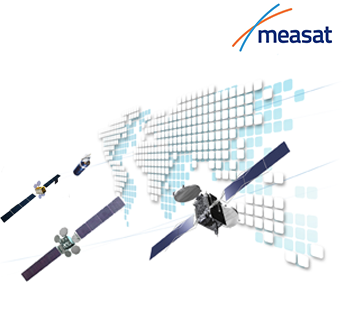 MEASAT Satellite Systems Sdn. Bhd. (“MEASAT”) announced that Encompass Digital Media (“Encompass”) is expanding their presence on MEASAT’s leading 91.5 degrees E video neighborhood. all of which are distributed to TV platforms in more than 100 countries across the Asia Pacific. Deepakjit Singh, Chief Innovation Officer, Encompass stated that Encompass is delighted to increase their video line-up in MEASAT’s 91.5 degrees E video hotslot. With satellite still the preferred means for linear TV distribution for emerging markets, MEASAT and Encompass are working together to expand in this segment. He added that they look forward to continue growing with MEASAT in the years to come. Yau Chyong Lim, Chief Operating Officer, MEASAT added that by strengthening their partnership, MEASAT and Encompass continue to increase compelling content for Asia Pacific audiences. Video continues to be MEASAT’s core focus and they will continue to grow this segment in cooperation with partners, content providers and channel operators. The 91.5 degrees E prime video hot slot is home to the MEASAT-3, MEASAT-3a and MEASAT-3b satellites, forming the region’s strongest video neighborhood. From 91.5 degrees E, MEASAT supports broadcasters and DTH operators to distribute UHD, HD and SD channels to audiences across Asia, Australia, East Africa and South Eastern Europe.